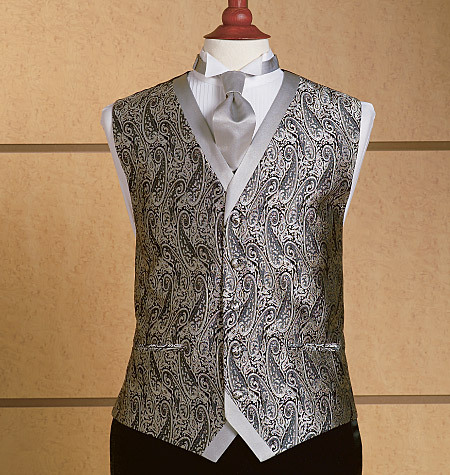 Surprisingly, the waistcoat is one of the rare pieces of clothing whose origin historians can date precisely. 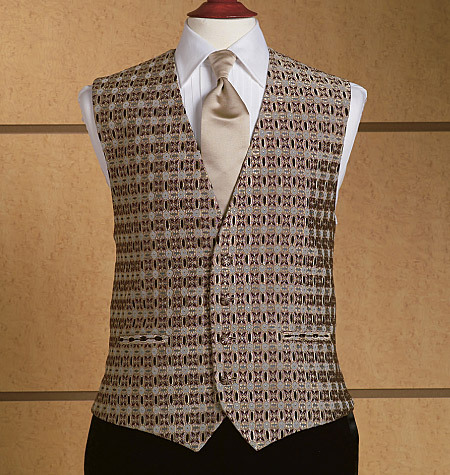 King Charles II introduced the waistcoat as a part of correct dress during the Restoration of the British monarchy. Samuel Pepys, the diarist, wrote in 7th October 1666 that "the King hath yesterday in council declared his resolution of setting a fashion for clothes which he will never alter. It will be a vest, I know not well how". This royal proclamation is the first mention of a waistcoat. Pepys records 'vest' as the original term. 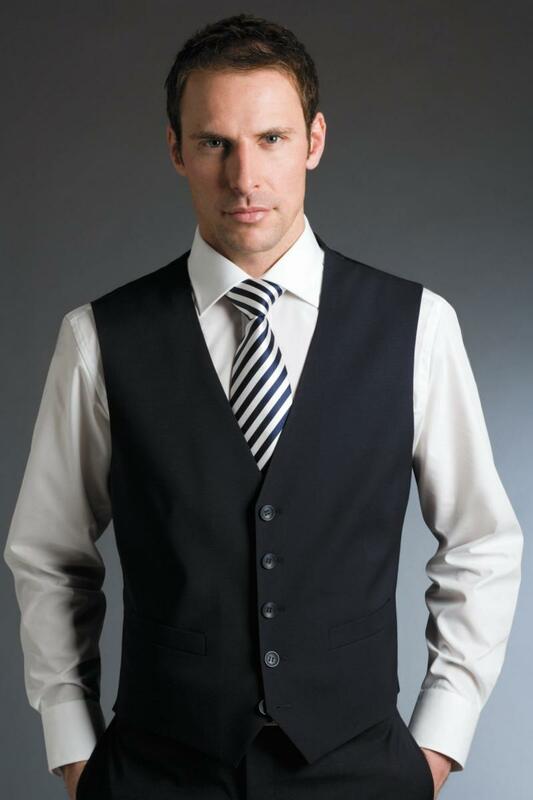 The reason for the term 'waistcoat' was to denote the termination at the waist, whereas, at the time, men's formal coats went well below the waist as frock or morning coats. During the seventeenth and eighteenth centuries, men often wore incredibly elaborate and brightly-coloured waistcoats, until fashion in the nineteenth century restricted them in formal wear, and the development of the suit dictated that informal waistcoats become the same colour as the rest of a man's outfit.From the late 17th century a man's doublet became a waistcoat with men wearing a frock coat over it. After about 1810 the fit of the waistcoat became tighter and shorter, becoming more secondary to the frock-coat overcoat and almost classed as an undergarment. But it still increased in popularity. 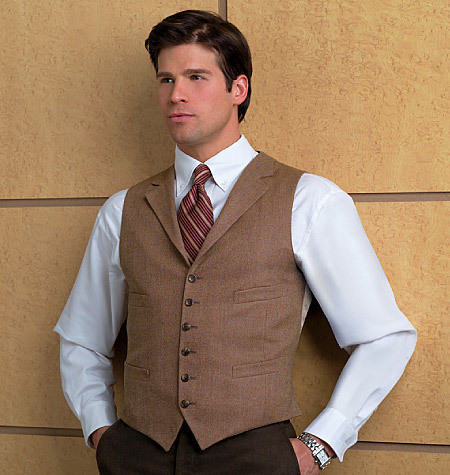 In the early part of 19th century, the waistcoat moved away from being the centerpiece of a man's clothing and towards serving as a foundation garment, valued as a way of enhancing the figure. 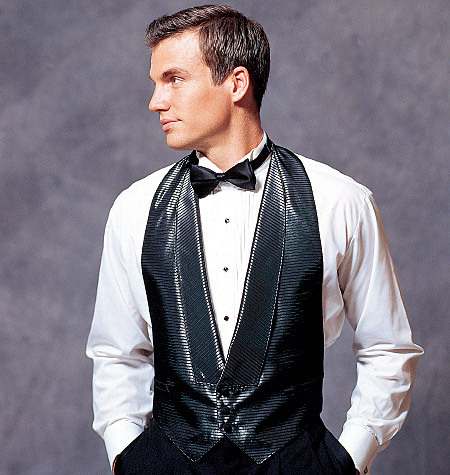 From the 1820s fashionable gentlemen started wearing corsets. 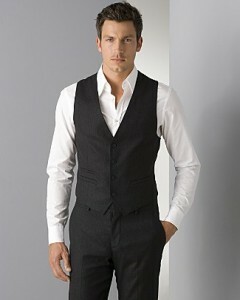 The waistcoat complemented this by becoming skin-tight for a nipped-in waist. 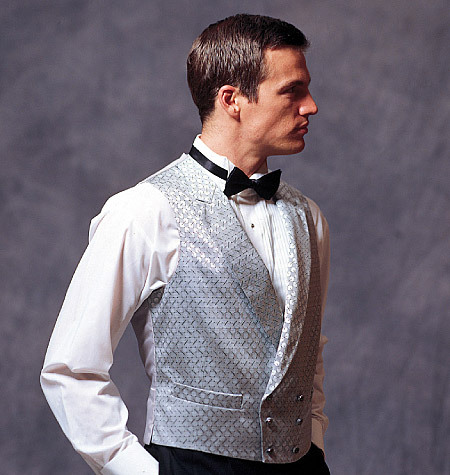 If a corset wasn't worn then men's waistcoats often featured boned stiffeners and a laced-up back, so that one could pull the lacing tight and get the required fashionable shape. Prince Albert, the Consort of Queen Victoria, had a reputation for his tight corsets and tiny waist. 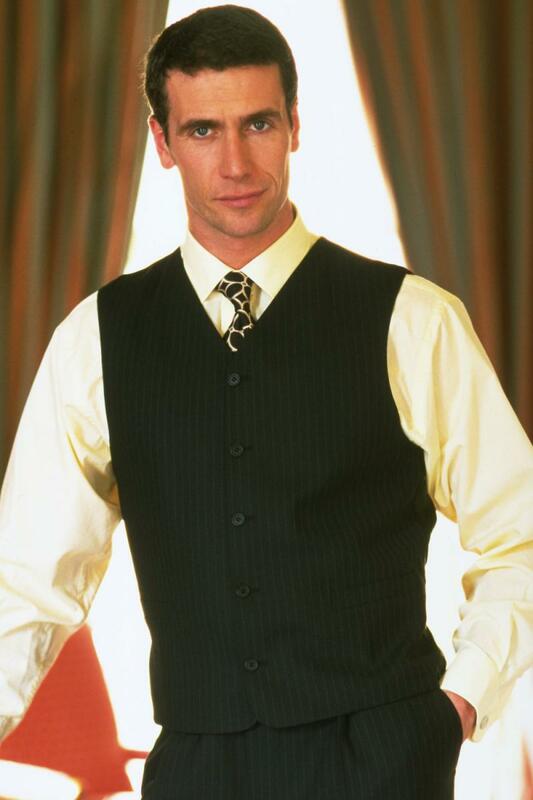 Men followed his lead, and waistcoats became more restrictive. This fashion remained throughout the 19th century, although after about 1850 the style changed from that of a corseted look to a straighter line, with less restriction at the waist, so that the waistcoat followed a straighter line up the torso. 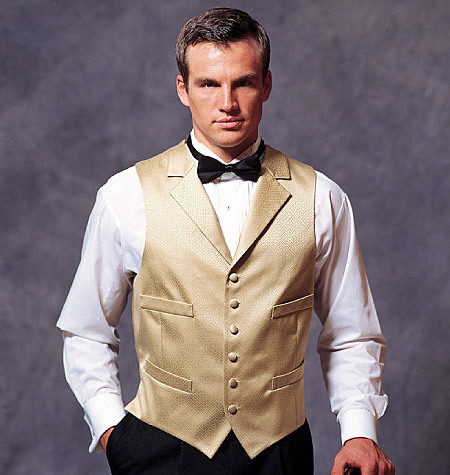 Popular sentiment once claimed that one could tell a man as a "real gentleman" if he left the lowest button on his waistcoat unbuttoned. This is supposed to originate from King Edward VII while Prince of Wales: his ballooning waistline caused him to leave the bottom button of his waistcoat undone. To his subject he was a style icon and they took up the habit. 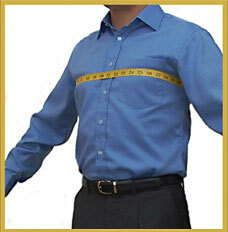 An alternative view is the practice of undoing the lower button was to stop the waistcoat riding up when on horseback. Before wristwatches became popular, a gentleman would keep his pocket watch in the front pocket of his waistcoat, attached to one of the buttons with a fob and watch-chain. This arrangement is still worn by distinguished gentlemen. 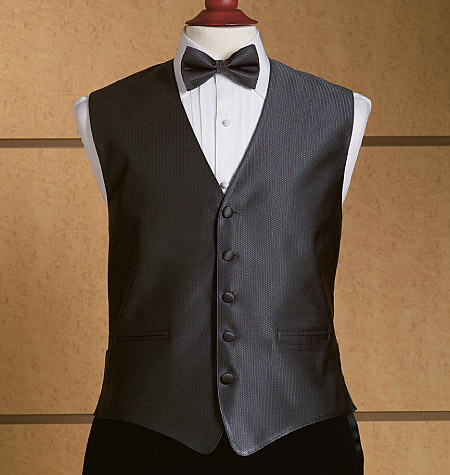 The waistcoat remained a required part of men's business clothing, and casual dress, until the mid-twentieth century. 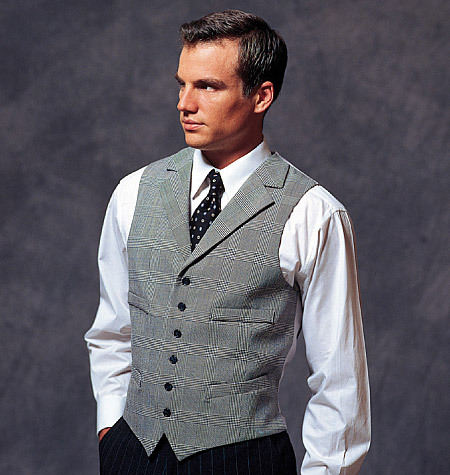 Waistcoats were popular because they added an extra layer of warm cloth between one's body and the elements. 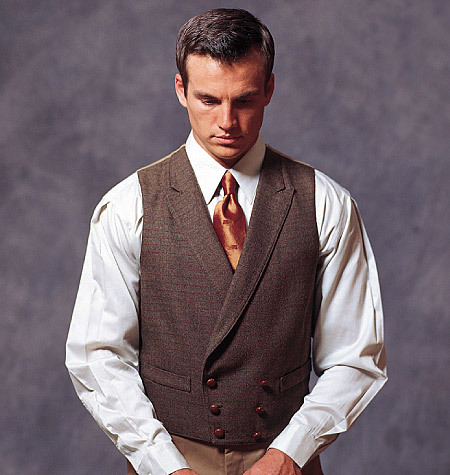 Factors that influence the decline in waistcoat wearing are that cloth was strictly rationed during the Second World War and subsequent post-war austerity; sweaters and pullovers became more popular for getting extra warm; central heating mitigated the need for extra layers; and the trend in men's clothing towards increased casualness. 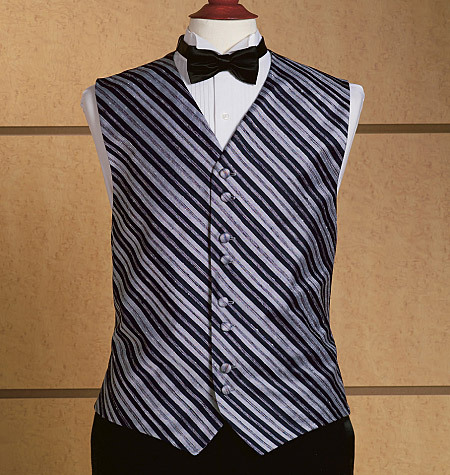 The waistcoat remained visible in the UK until the late 1960s. 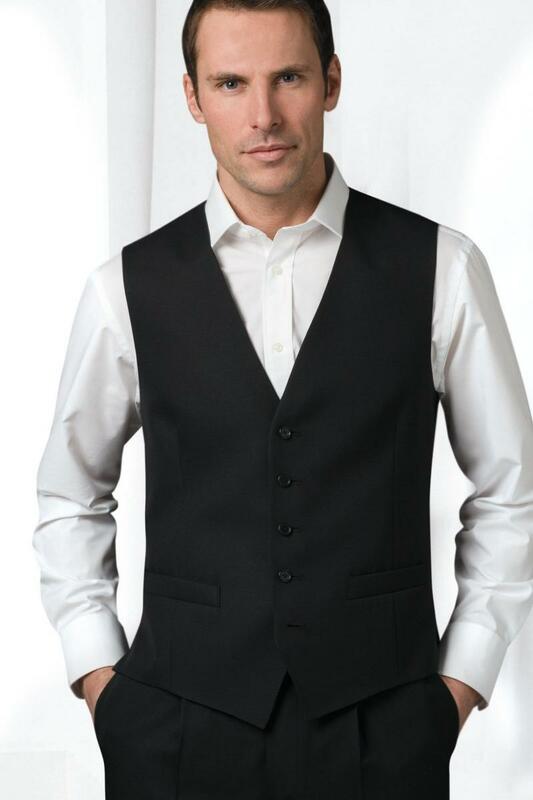 During the 1970s the waistcoat once again became a fashionable and popular and garment with many businessmen and young people wearing it along with the rest of their suits. Movies like Saturday Night Fever helped popularise the waistcoat as a fashionable piece of dresswear. 1960's and 1970's Denim waistcoats were a must with the trendies wearing lots of badges and broaches. Worn for fun, fashion and warmth.